Just a week after I started Pura Vida Moms, I was looking through Twitter for possible contacts regarding bilingual education. I stumbled upon Heather from Books del Sur, and after visiting her website and catalogue full of imported authentic Spanish literature for kids, I sent her a direct message and said, “hey, want to collaborate on something?” After one phone conversation, we had the idea for #BilingualWe, and 5 books from her catalogue arrived on my doorstep a week later. The books were beautiful, and I got goosebumps when I opened the package. You might notice that “De paseo” has a bite mark. What can I say? 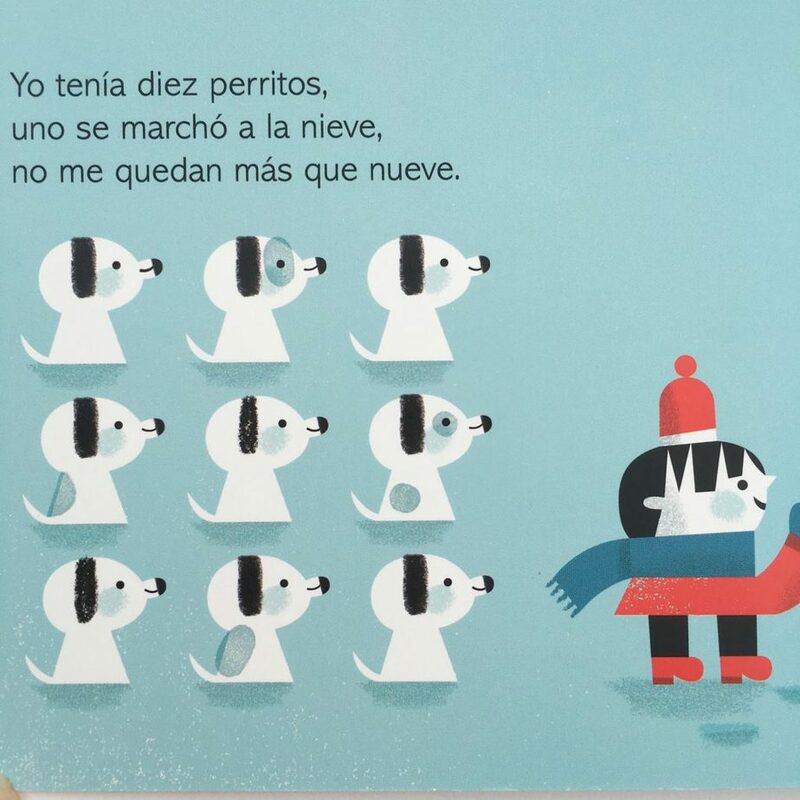 I often write about how difficult it is for me to find culturally relevant, high quality, and age appropriate texts in Spanish for my kids. Oftentimes, we find poor translations in Spanish of books that were poorly written in English to begin with, and it’s been super hard (and expensive) to build a library full of high quality books in Spanish. Until now. The Books del Sur collection of books is outstanding. So outstanding, that after receiving them in the mail, I contacted Heather to say “EVERY bilingual parent should have these books, and our second #BilingualWe series must be about how to use these books!” Heather agreed with me, and together, we are creating 6 high quality episodes of content around how to use the baby board book collection. We wanted to preview that collection here with you, AND offer a phenomenal deal that will, (hopefully) entice you to order the books and learn along with us when we take the series live! So, check out some images of the books included in the bundle, and scroll down for the 15% off coupon code! 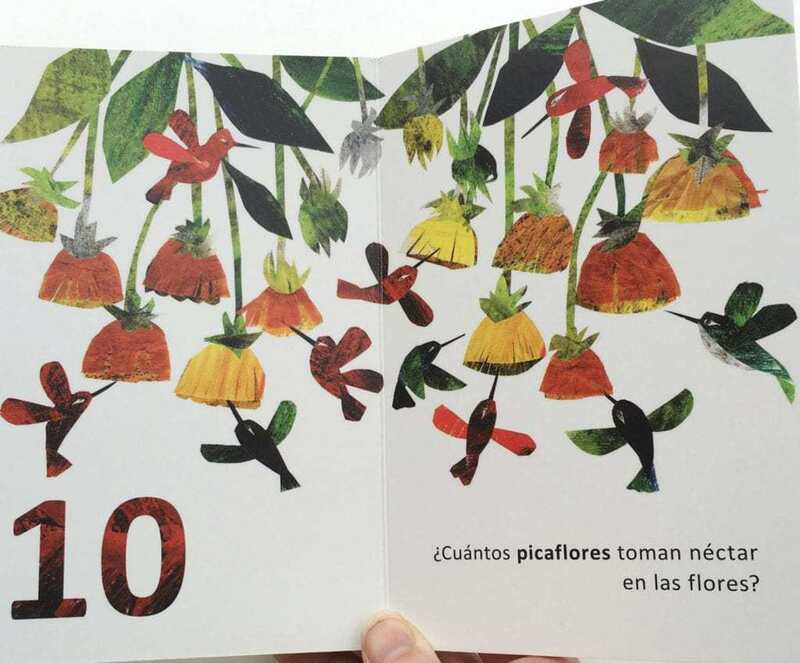 I love the use of vocabulary in this book… picaflor is such a fun word! And the numbers go above 10, which is perfect for pre-readers! These two books are about animals, but they end by making a human connection. So sweet. Each page subtracts a doggie, and the prose rhymes. There are endless teaching possibilities for this book! So, it’s simple. 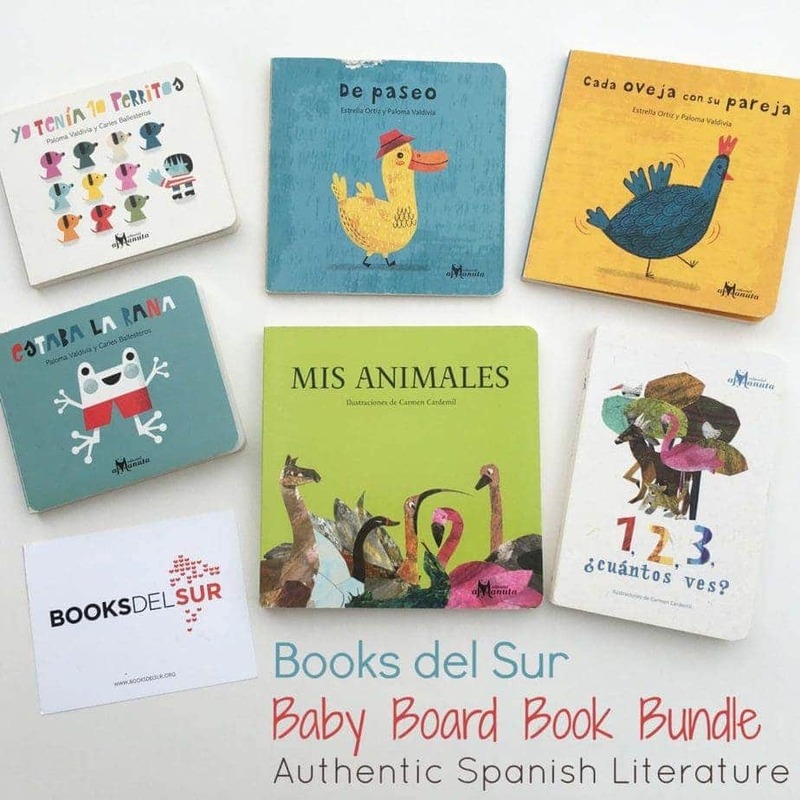 Click on the image below, which will take you directly to the Baby Board Book Bundle from Books del Sur! Use the coupon code #bilingualwe to get 15% off your order. (Affiliate coupon code). 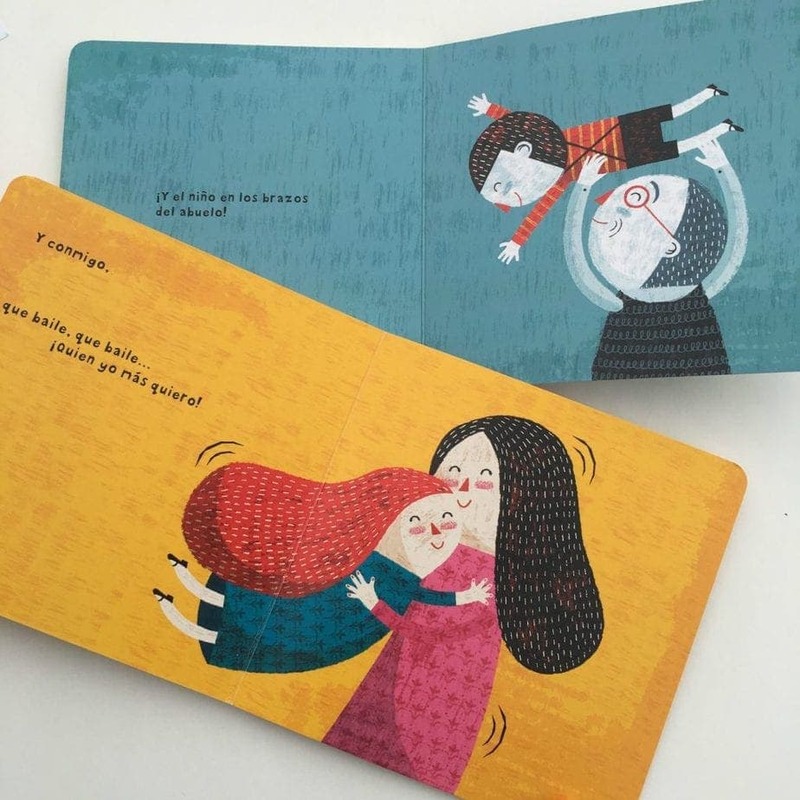 And be sure to tune in to the next series of #BilingualWe, where we highlight the BEST techniques for using these books with your babies!